Shower Doors, Frosted Shower Door, Neo - Angle Shower Door,Sandblasted designs, Etched Glass, Carved Glass, Custom mirror. Accurate Lock is a manufacturer of locks and custom architectural hardware. Specialty items include sliding and pocket door locks (ADA options available), our signature 9100 UL listed Grade 1 mortise locks (including marine grade), narrow backset locks, interior mortise locks, screen door locks, offset pivot hinges, Harmon hinges, flush pulls and special strikes. All Accurate products are manufactured in the United States and are sold through hardware distributors. 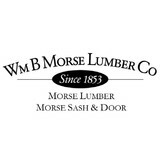 It is a Custom Woodworking Shop focused on craftsmanship and personal attention. Our main goal is to provide you with exactly what you want. We Manufacture Custom Doors, Windows, Cabinetry and Staircases to compliment every lifestyle. We service the entire New York City area. Our convenient location and hours make it easy for you to come in and get the professional service you deserve. We are located in Park Slope, Brooklyn 11215. 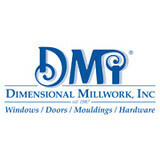 We are a family owned business in the millwork industry for over 35 years. We specialize in high quality Interior Doors, Exterior Door Units, Molding, Radius Molding, Wainscoting and we also do many other types of custom millwork. The Starke Millwork molding catalog is the best in the business with over 1,300 profiles to choose from. If you need a profile matched to an existing or you have designed your own, we can do that too. We cut our own profile knives in house! We have a great team that strives for customer satisfaction every day, and when combined with our high quality state of the art machinery it is a guarantee. Door Cladding offers buildings with an innovative solution to clad doors in interior public areas to enhance the building’s aesthetic. Multi-unit buildings require that entry doors be 90 minute fire rated and the most economical doors are flat hollow metal doors as seen throughout the city. The design options with these doors are limited to paint color. 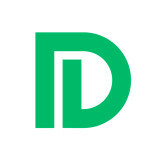 Door Cladding has a solution for this by adhering stylish wood or wood look panels to existing fire rated doors without influencing the rating. The finished look of a corridor with beautiful doors upgrade the design and feel of the corridor while saving money not having to replace the existing doors. Our panes are UL approved for cladding with many wood look panels options. Our panels are especially built for commercial use and offer great quality wood grain look which is scratch and damage resistant. 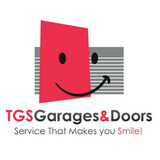 Hathazi Garage Doors, LLC is a family-owned professional dealer serving most areas of New Jersey. We go above and beyond to meet each of our customer’s needs. Great service is our guarantee and so is our competitive pricing. NOTE: We do not sell door handles nor do we repair doors. We sell door handle covers that protect your handles from becoming hot in the sun. THE HANDLE WONDER COVER™ A soft fabric made of neoprene that slips securely over your existing metal door handle. Slides on easily like a glove for your door handle and protects your metal handle from heating up in the sun. Thus preventing you and your loved ones from burning themselves from a door handle that has been exposed to direct sunlight all day long. Keeps your metal door handle from becoming HOT in the sun. Makes handle easy to grip. Fits most storm door and screen door handles. Easy to slide on and take off. 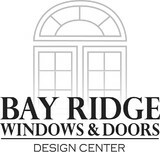 We design and engineer Window and Window Wall Systems that will meet your Architectural Designs and Codes. Our project management capabilities will ensure your project is enveloped on schedule, allowing trades to commence work and follow behind us. Our installation teams are up to date with OSHA certifications and equipment, eliminating any risk or project shut down due to safety issues.